Spicy, savory, and simply magnificent. 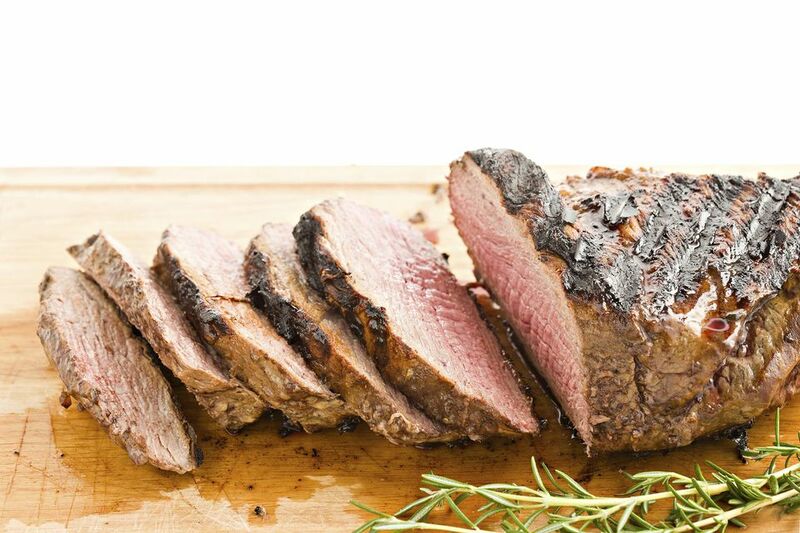 This tri-tip roast is definitely a crowd pleaser. The marinade serves two purposes by first, seasoning the meat prior to grilling and finally, brought to a boil and thickened with cornstarch forming a delectable serving sauce for the finished product. While this recipe calls for tri-tip roast, you can easily substitute with flank steak, yielding the same fantastic result. Just be sure to adjust the cooking time. Combine all marinade ingredients in a medium bowl. Place the tri-tip roast in a large resealable plastic bag. Pour marinade over meat, seal bag and allow to marinate for 4 to 6 hours in the refrigerator. Preheat grill on medium heat and prepare for indirect cooking. Remove roast from the pan making sure to reserve marinade. Place roast onto a lightly oiled grill grate and allow to cook until internal temperature reaches 150 to 165 F or about 25 to 35 minutes. While the tri-tip is cooking, it is time to prepare the sauce. Using side burner and a medium saucepan, bring reserved marinade to boil. Combine 1 tablespoon of cornstarch with 3 tablespoons of water. Add mixture to marinade. Stir until the sauce has thickened. Reduce heat to low and allow to simmer for an additional 3 to 5 minutes. Once tri-tip has reached the desired doneness, remove from grill and tent with aluminum foil, and allow meat to rest for 10 minutes. Carve roast, top with sauce, and serve with you favorite sides.